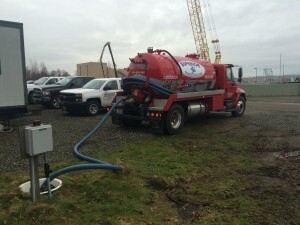 Superior Septic Services would like to remind our customers that septic pumping in Lake Stevens will improve the efficiency of your home septic service. Although a well-run septic system can go a long time without being pumped, eventually even the best will require a good cleaning out. It is recommended that most septic tank systems be inspected every three years. They might or might not need pumping at that time. 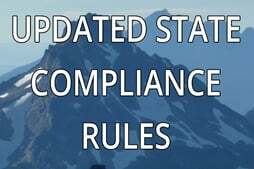 Some types of systems need inspected and pumped each year. Septic tanks need pumped when the solids compartment gets too full, and solids float over the baffle into the effluent. This can happen for a lot of reasons, the foremost being that the tank has simply been used for a while and it is full. However, there are other reasons why some septic tanks might fill up more quickly than others. These include activities such as attempting to flush diapers (don’t believe the packages – no part of a disposable diaper can be flushed), feminine sanitary products (if you think having your personal items in the bathroom waste can is embarrassing, just imagine explaining the clog in the drain line to your plumber) or using a garbage disposal in your kitchen sink. Place diapers and sanitary products a trash container, and develop a composting system for kitchen waste. Use it to grow earthworms and to feed your potted plants. Superior Septic Services knows that eventually, no matter how careful you are, you will need septic pumping in Lake Stevens. That is why we even have a small pump truck for remote areas. If it is time for your septic tank to get pumped, give us a call at (425)905-2485 for an appointment with our crew today. We are always glad to help out.